The No. 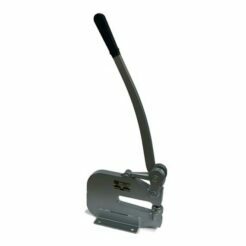 16 bench punch is powerful and easy to operate with a smooth roller bearing action and a 3 1/4″ throat depth. The die show is removable and adjustable, therby permiting the use of close fitting punches and dies. Irreguar special shaped punches and dies are available. 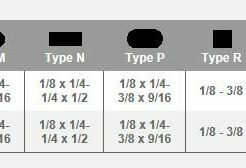 An optional work table is available for the No. 16. 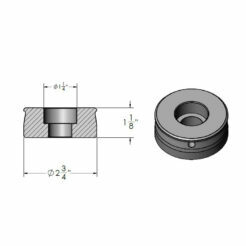 Includes one 9/32″ round punch and die set. The No. 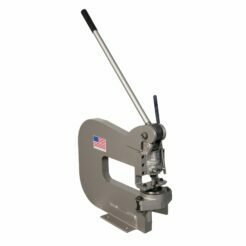 17 bench punch is powerful and easy to operate with a smooth roller bearing action and a 6 1/8″ throat depth. 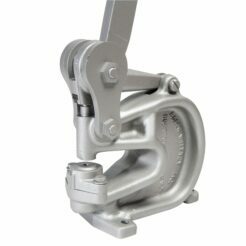 The die show is removable and adjustable, therby permiting the use of close fitting punches and dies. Irreguar special shaped punches and dies are available. An optional work table is available for the No. 17. Includes one 9/32″ round punch and die set. The No. 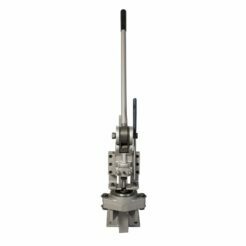 24 punch is specifically designed to accommodate angles, channels and flanged parts. It is recommended for 10 gauge and thicker. 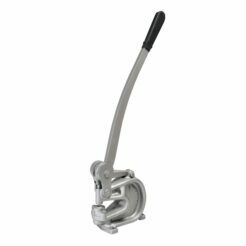 This punch has a throat depth of 3 3/4″ and is rotary operated. 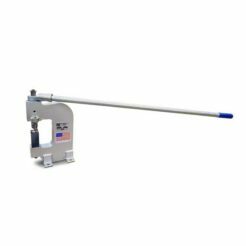 Options for this punch include the 119 ratchet attachment and a 48″ pipe handle to provide additional leverage for punching through heavy material. Includes one 1/2″ round punch and die set. The No. 218 is ideal for prototype, short production runs and model shops. 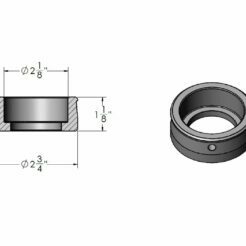 The adjustable die shoe permits the proper alignment of close fitting punches and dies to accommodate very thin materials as well as heavier stock. 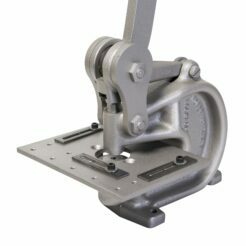 The 218 has a 12″ throat depth, 3/16″ ram adjustment and an optional cabinet base and a 12″ square work table. Includes standard equipment: One L8 punch holder, one No. 20 die adapter, one No. 40 die adapter, one 118- 2 3/4″ die shoe, stripper arms, one A6 stripper plate, and one 1/2″ round punch and die set. 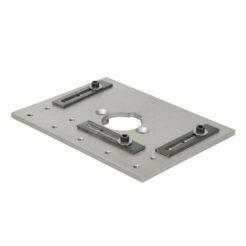 The work table has a 6″ x 8″ surface with 20 tapped 1/4″ holes located for attaching different stops and gauges. 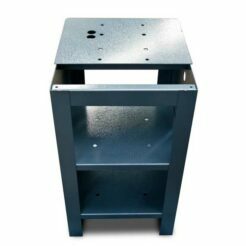 The cabinet base is a nice addition to the 218 punch providing a base for mounting the machine as well as adequate storage for additional punches and dies.